On heavy duty Peggy Long Aluminium may be applied to fix huge tents, cords and tent anchoring devices, storm straps etc. Shape and size are similar to the Peggy Peg Long, but because of its material aluminium it is for soft to dense grounds even where to expect greater leverage. Using to much force, this aluminium Peggy Peg might break just as a normal screw. Thus, please only continue to drill as long as the screw is driving in. In contrast to the fibre-glass screw-in peg, which is slightly elastic, the aluminium peg only gives little feedback. With a strong electric drill please use the slipping clutch. The application possibilities go far beyond the camping sector. 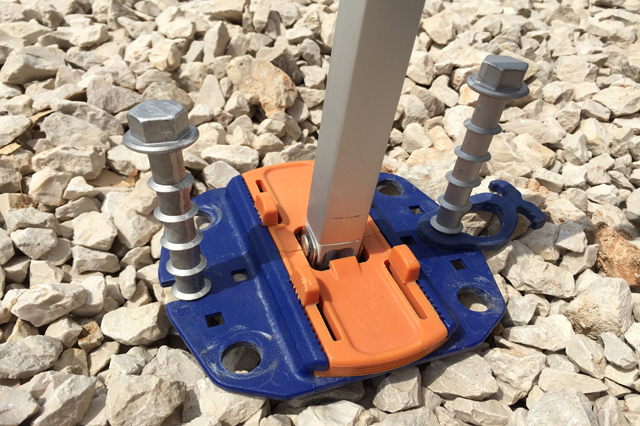 Our Peggy LA’s are also suitable for fixing garden furniture, flag and radio masts, swings and slides or flying equipment.